You are a prosthesis wearer with a low to moderate activity level and want a prosthetic foot that is able to compensate for surface irregularities with its multi-axial function, thereby allowing you to walk and stand safely? Then we have a highly developed and convincing product for you with the 1A30 Greissinger Plus foot. All-round mobility is achieved by the rollover of the titanium adapter on the ring-shaped elastomer adapted to the respective load, which is available in three different levels of stiffness. 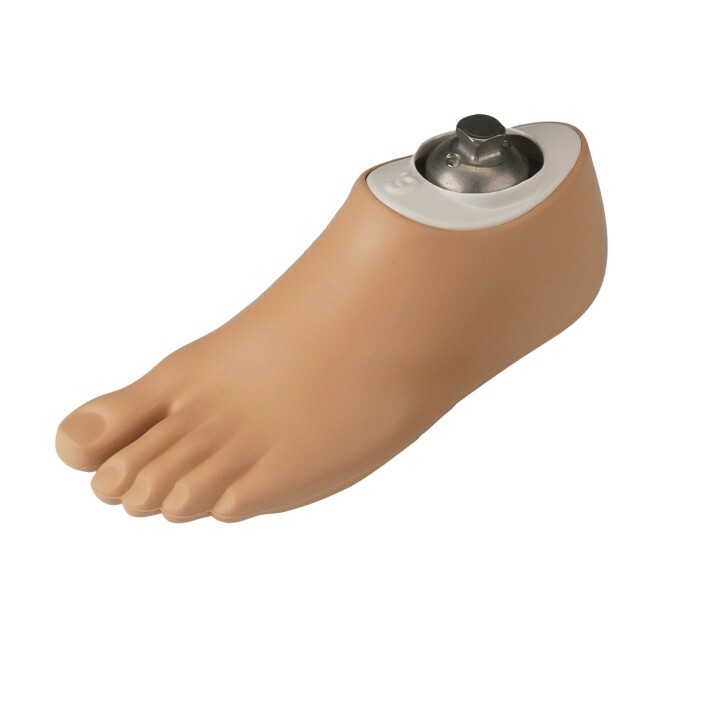 The foot also sets itself apart with its natural appearance in silicone including moulded toes. The Greissinger Plus foot is available in the sizes from 24 to 29 centimetres and – depending on the foot size – can be used for a body weight of up to 100 kilograms.